Professor Antoin Murphy, leading Irish monetary economist and historian of economic thought, writes on Friedman, Schumpeter, and their relationship to modern financial innovation 10 years after the fall of Lehmans, in his review of poet Micheal O’Siadhail’s 357p Dante-esque work, The Five Quintets, published in Dublin on October 4th. Given the nature of the subject, along with its pretensions to exactitude, readers will be surprised to learn of an economist looking for poetic licence. But this economist insists on such faced by a writer who takes poetic licence with economists. 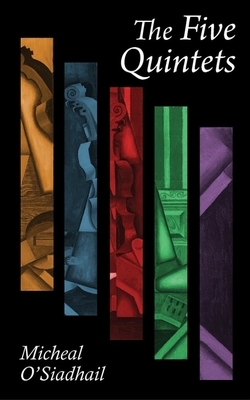 Micheal O’Siadhail, one of Ireland’s foremost poets, has produced a remarkable opus, The Five Quintets, a Dante-esque trip through les temps modernes that can be read and enjoyed by all. For the readers of Finance Dublin it is a must for the Christmas stocking, one to show their partners the links, however uneasy, between culture and economics. The book, published by Baylor University Press, runs to 357 pages. It consists of five quintets each of which is divided into five cantos with the author insisting that ‘poetry belongs in the public sphere’ and that’s ‘poets have a part to play in shaping our public discourse’. Our Europe’s sovereign bent on conquering. Are you still Desiderius’s knight. This is a wonderful introduction as O’Siadhail lyrically drives us through a changing Spain where the Moors left such a strong cultural legacy as well as showing the transition of Europe at a political level from the medieval age of jousting to the possibilities of Erasmus’s dreams of tolerance. Quintet two ‘Dealing’ occupying pages 67 to 147 is fascinating for economists for in these eighty pages – well over twenty per cent of the total pagination of this book - the poet takes us through a veritable course in the history of economic thought. He starts with the Ballyheigue, County Kerry, economist, Richard Cantillon – here I noted some allusions to my own work – and works through a strong cast of great economic thinkers including Adam Smith, Malthus, Jean Baptiste Say, David Ricardo, Henri de Saint-Simon, Robert Owen, Charles Fourier, John Stuart Mill, Henry George, Karl Marx, Milton Friedman, Thorstein Veblen, John A Hobson, Joseph Schumpeter, John R Commons, A.C. Pigou, John Maynard Keynes, Gunnar Myrdal and Amartya Sen. Sensitive poetic souls might baulk at this wholesale introduction of so many different strands of economic theory into lyrical verse. Such an attitude would be wrong because these were people who did change our modes of thought on economic activity for better (eg. Keynes) and for worse (Marx) and therefore greatly influenced society. Furthermore Micheal O’Siadhail, unlike I would surmise many of his poetic contemporaries, knows his economics and is able to identify quickly and in verse many of the conceptual breakthroughs of these great economic thinkers. The combination of lyricism and economics is a difficult task but it is one that the poet achieves with considerable elan. This was certainly the Friedman that I encountered in his beautiful flat on Nob Hill overlooking San Francisco’s sparkling bay in 2000. Interestingly, I spent some time discussing how he and his formidable wife, Rose, were establishing scholarships for students from low income backgrounds to go into higher education – Friedman was financing this activity from his Nobel Prize award. This was not the stereotype that some people like to make of Friedman. That played a role that your creed deplores. These verses then serve to introduce Friedman’s opposition to state intervention in the economy, the influence of his students on Pinochet’s Chilean economy (harsh this if lecturers are to be condemned for activities of their students), and so on. But here there was a need for balance. In my opinion Friedman’s greatest legacy to mankind was his monetary analysis of the Great Depression, co-authored with Anna Schwartz in A Monetary History of the United States. There Friedman showed how a central bank needed to augment the money supply dramatically when faced by the shock and trauma of a financial crash. It was this analysis that served to influence Ben Bernanke, when chairman of the Federal Reserve System, to introduce quantitative easing on a massive scale to counterbalance the effects of the 2008 financial crash in the U.S. This approach also inspired Mario Draghi, the President of the European Central Bank, to follow suit at the European level. The global economy was saved through quantitative easing – a policy that Friedman and Schwartz identified as necessary from their analysis of the Great Depression. In the above quoted verse O’Siadhail identified Friedman’s monetary policy but totally under-emphasised its recent importance on a global level. But blows up bubbles that must burst. This view on the dangers of finance is a popular fallacy. The financial crash of 2008 was caused by an excess supply of finance which was channelled into sub-primes and financial derivatives that caused Wall Street to nearly blow up Main Street in the United States. The moral of the story appears to be that finance is dangerous and must be dramatically controlled. The problem with this analysis is that it is very short term in its reasoning. There is always a very fine line between monetary innovation and financial prudence. Without monetary innovation and expansion we would still be close to a barter economy intermittently reliant on gold and silver coinage to finance exchange activity. But monetary innovation released mankind from the shackles of a metallic money and enabled the financing of vast swathes of economic activity. Doubters should go to Silicon Valley and see the way in which flows of financial capital were channelled to the entrepreneurs of the new high tech economy to produce the high tech revolution – here there are parallels with the financing of the Industrial Revolution in the 19th century by newly emerging credit creating banks. Joseph Schumpeter was an economist who really understood the links between finance and entrepreneurship. In his book on Business Cycles Schumpeter showed the role of both technological and monetary innovation. Technological innovation could produce creative destruction (computers replacing typewriters for example) and clusters of innovations could produce poles of economic growth. But all the time these technological innovations needed to be financed. Without finance the great ideas of scientists and entrepreneurs could be wasted on the desert air. There are two pages of verse on Schumpeter but this crucial linkage between technological innovation and monetary financing is absent. The economist needs to be careful in dealing with the poet. O’Siadhail has opened up wide vistas linking economic ideas and economic activity. The intellectual covering of these ideas in lyrical verse is a joy to behold. The verses trip easily on the tongue. There are occasional irritants most notably the introduction of Michael Fingleton into the economic debate. The poet appears to have considerable knowledge on Michael Fingleton’s background – seminarian for three years in All Hallows, a stint in Lagos handling the mission’s funds, etc, etc. But why oh! why are we subjected to so many verses detailing the rise and fall of one Michael Fingleton? Is he to represent the Beelzebub responsible for the collapse of the Celtic Tiger? If so surely there were bigger figures to fry in verse, those who ruled the bigger banks, the regulators, and so on. More importantly how in a poetic discourse on the evolution of economic ideas can he be boldly thrown in between Milton Friedman and Thorstein Veblen! I would like to think that Cantillon looked like this. But this is poetic licence by Micheal O’Siadhail at the expense of the economist because in all my years researching on the Ballyheigue man I never came across a portrait of him. Ah! Poetic licence, a gift for the poets but biographers beware. Antoin Murphy is a Fellow and former Professor of Economics at Trinity College Dublin. He is the author of The Genesis of Macroeconomics (Oxford University Press, 2009) and Richard Cantillon: Entrepreneur and Economist (1986, OUP).